Are you ready for big-kid fun? 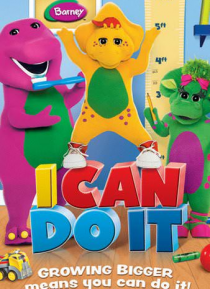 Join BJ, Claire and Jade as Barney teaches them that even if you're not big enough to do all the things your friends are doing, there are new friends to meet and new games to play right now. Discover that big-sized fun is waiting for you every morning. And every day you grow is loaded with Tee-riffic adventures! Includes bonus feature "Glad to Be Me."